This project has yielded an 11% performance boost in PUBG. 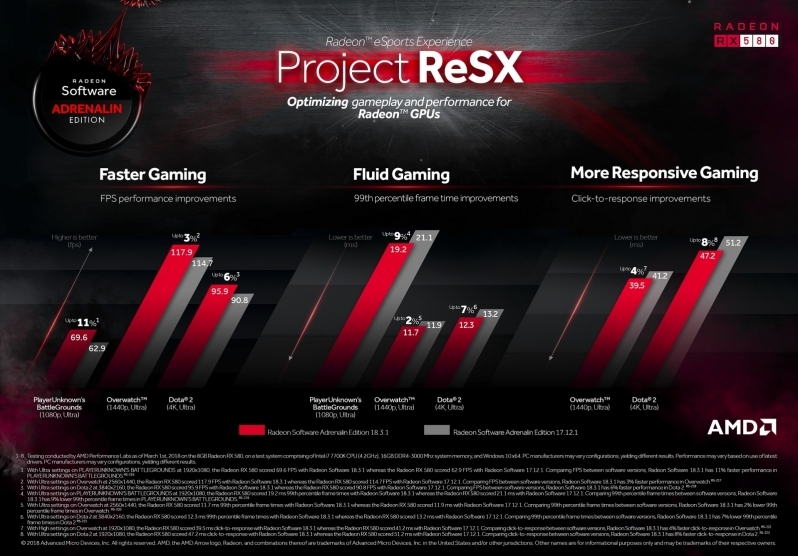 Read more about AMD's GPU performance and latency improving Project ReSX. Very nice, but where's the graph for Starcraft 2, Quake Champions, and Fortnite? What about non-eSports titles like Civilization VI, Europa Universalis IV, Stellaris, Total War and other games with popular multiplayer? Give it time, hopefully AMD will be able to bring these kinds of changes to more titles in the future. Rome wasn't built in a day. That being said I think AMD needs to improve their relations with Epic Games and bring optimisations to the Unreal 4 Engine, where AMD typically has a performance disadvantage. Please correct me if I am wrong, but Quake Champions doesn't have that many players. It isn't even on Steam's top 100 charts anymore.I remember playing at its early access launch and there weren't that many players either. You just proved yourself wrong.